With over 22 years of corporate experience, Scott is currently the Chief Operating Office and Chief Financial Officer at InComm, an Atlanta-based prepaid and payments technology company that innovates new commerce solutions to reward consumer loyalty, drive foot traffic at retail and provide unique gift-giving opportunities. He has completed multiple public debt and equity offerings, raising in excess of $1 Billion, and he has played a key role in over 100 mergers and acquisitions. Prior to joining InComm, Scott spent time consulting in executive capacities at companies such as Arthur Andersen, Intercept, Infor Global Solutions and Intersect. 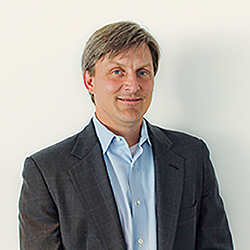 Prior to InComm, Scott most recently was the Founder and Partner in The Intersect Group, a provider of tailored finance, accounting and technology solutions. Under Scott’s direction, Intersect was named to the prestigious Inc. 500 List in 2010. Scott resides in Atlanta, Georgia, with his wife and three children.